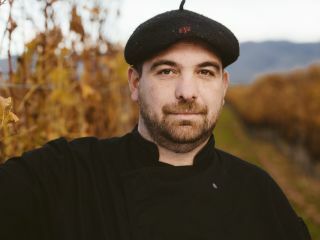 Born and raised in France, Chef Arnaud Mallet brings a fresh image to “the vintners room restaurant” at Marlborough Vintners. Classically trained in French cuisine and working in some fine restaurants in France Arnaud has travelled extensity and cooked in the Caribbean and most recently Melbourne. With an exciting variety of cuisines under his belt Chef Arnaud promises to make the dining experience and exciting one. Arnaud brings a style that challenges his experience in French and Caribbean cooking but still staying true to modern kiwi influences.